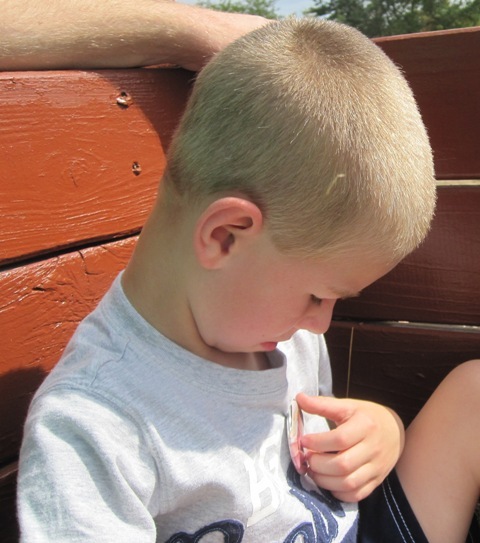 A few weeks ago, we attended the Midwest Transplant Network Donor Family Picnic. It was located just a few miles from our house at a ranch. 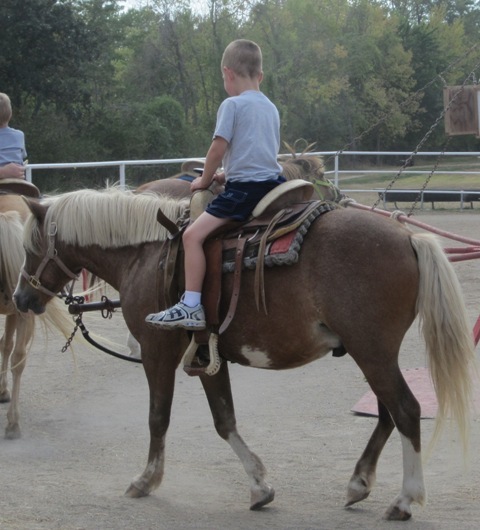 They had a lot of activities for children (pony rides, bounce houses, hay ride, games, etc.) and provided a BBQ dinner for donor families and volunteers. When we received the information, we were hesitant to attend. After thinking about it for a few weeks, we decided that it would be a good thing to do and a way to get more involved with other donor families. 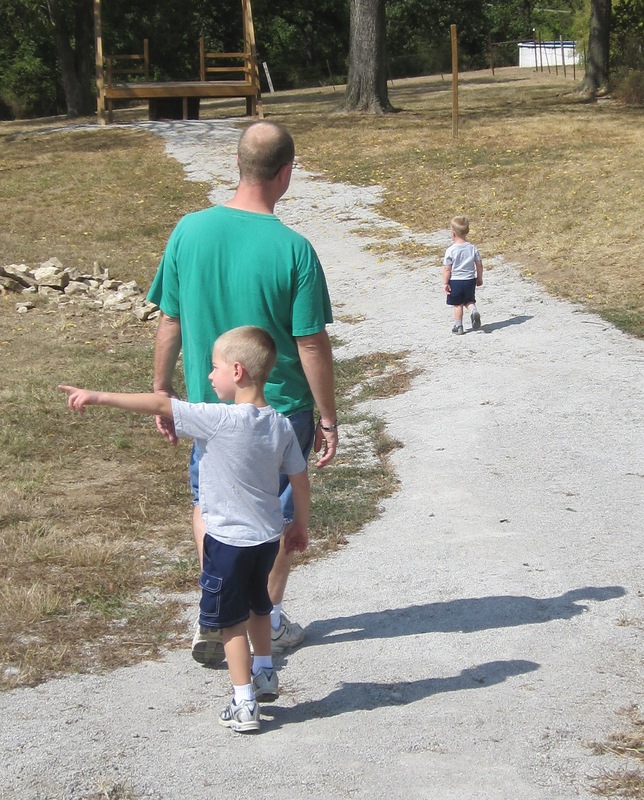 I dressed the boys in their Big Brother t-shirts the day of the picnic and off we went. It was the one and only Saturday where it rained all summer, but the rain stopped just long enough for everyone to enjoy the picnic. 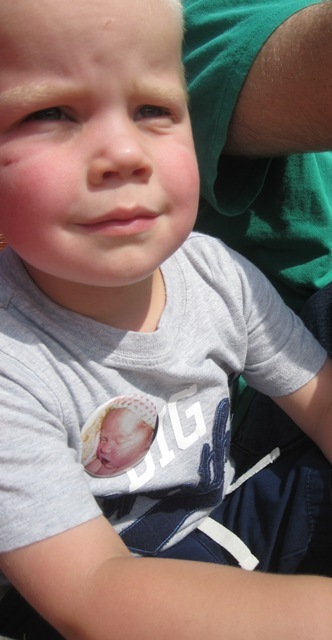 Rodger and I bought Donate Life t-shirts and we had four buttons made with Kyleigh’s picture on it. When we first arrived, we were filled with an unexpected emotion. The button table was the first thing we encountered when we walked in. Handing over Kyleigh’s picture to have buttons made was almost too much. Others families had buttons made as well and some had their own t-shirts made using their loved ones photo and name. As we walked around and enjoyed the activities, I made note of the other buttons and t-shirts. I saw a few pictures of women, but most were men. It was easy to assume who the person was, a grandmother, older brother or father. There was one family who probably had four or more children. They were all wearing t-shirts and buttons with pictures of their dad. He was younger then Rodger when he passed away. As I looked around, I never did see anybody else with a button of a baby or young child. We got a few sympathetic looks from others when they realized that our buttons displayed a picture of a baby, but nobody said anything. We walked away with mixed emotions … happy for having a good time with the boys, but sad for the reason that we were there. Rodger and I both said we would go again, so maybe this was the first of many Family Donor Picnics. Today, I am wearing my Donate Life t-shirt in honor of Kyleigh’s 5 months in heaven. As I was cleaning up the dishes from lunch today, Oliver asked me what I thought Kyleigh was doing. It was one of the out of the blue questions that just about knocks the wind out of me. I told him that Kyleigh would have been 5 months old today and that I thought she was celebrating with Jesus. Then he asked what I thought she would do tomorrow. I started to tell him that she would probably be tired from celebrating and would have to rest. Then I stopped myself. There is no rest in heaven! Our bodies are made whole again and we don’t get tired. Oliver and I talked about heaven for a few minutes and concluded that it’s such an awesome place that it’s hard for us to imagine what it will be like. He also decided that Great-Grandma was celebrating with Kyleigh today and that our dog, Boston, was waiting for Kyleigh when she got to heaven. He also said that Boston will be excited when he gets there so they can play fetch. I often catch myself looking at the world around me and being sad because Kyleigh isn’t here to see it with me. Of course a lot of that is because I miss her terribly, but a lot of that is also because I wanted her to see rainbows, mountains, flowers and butterflies. Then I catch myself and remember that what Kyleigh is seeing in heaven is so much more beautiful than what I am seeing here on Earth. It’s so much greater than what any of us can imagine! And that brings me comfort. 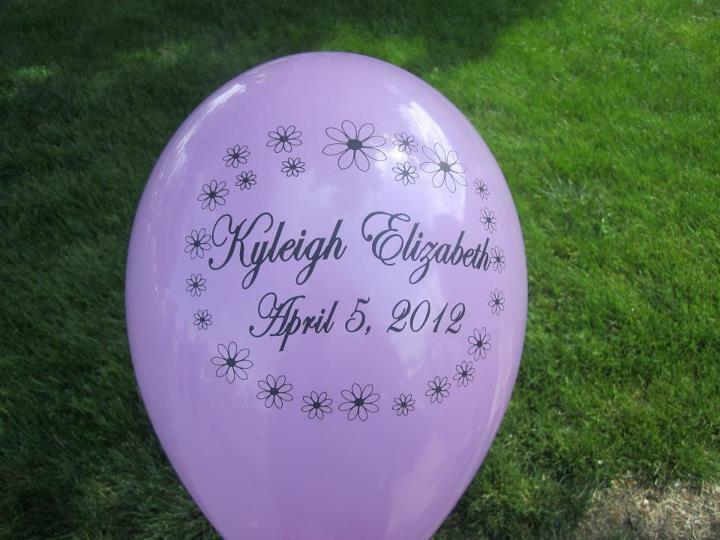 Happy 5 months in heaven Kyleigh! One day we will all have a picnic together in heaven. I love you!